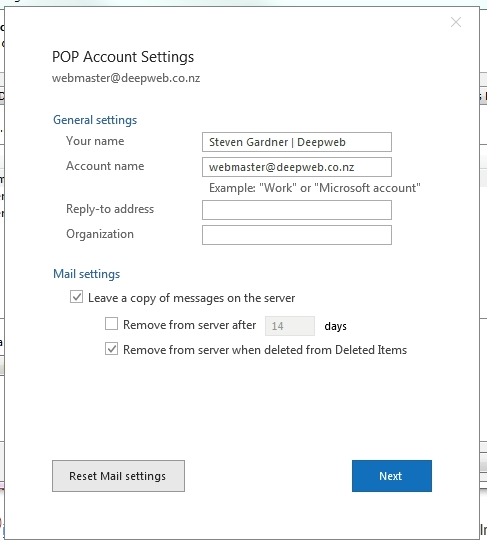 Do you need to change a port number in Outlook for your email? 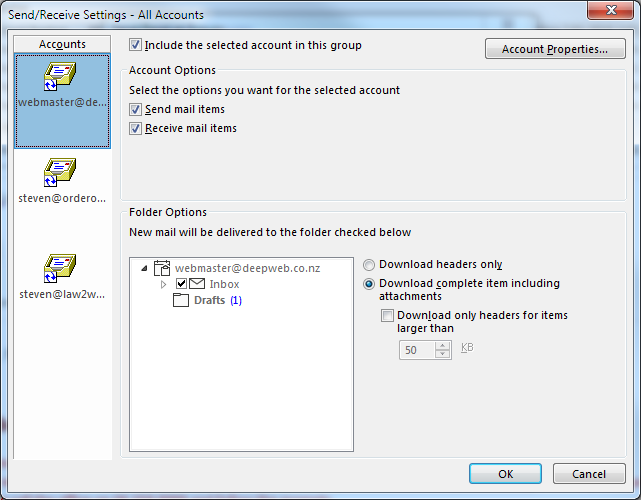 Looking for some other mail account settings that you were sure were there before? Join plenty of others who seem to be having the same issue. 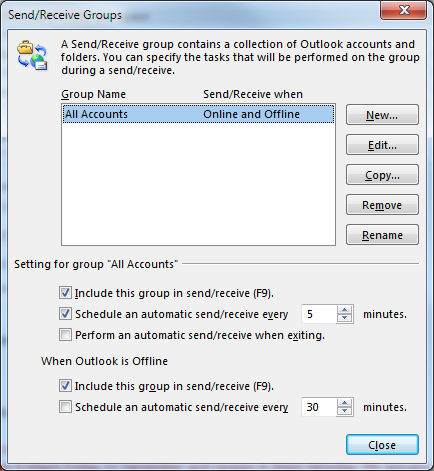 If you are running the latest version of Outlook (Office 365 subscription users like me are upgrade to the latest version automatically) then a change to the way Microsoft displays account settings has hidden the more advanced settings with no clear way to get to them. 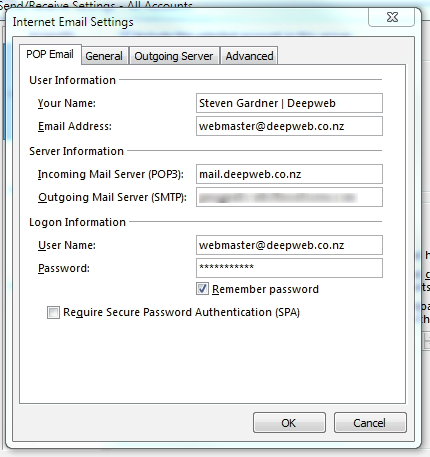 In the past you would go into your Account Settings and look for the “More Settings” button, this would give you a popup window with port numbers, SSL choices and the ability to save emails on the server. As you can see it provides a very limited set of options. So if you see the above screen, don’t worry, the real settings are a few keystrokes away.